In the VIGILANTE Long Sleeve Shirt you can take cover from neck to cuff with the versatility of a roll a up collar and sleeve. The UPF 50+ sun protection of our V-ULTRA LITE fabric will keep you protected while the fast drying capabilities combined with the mesh back venting will have you keeping your cool. 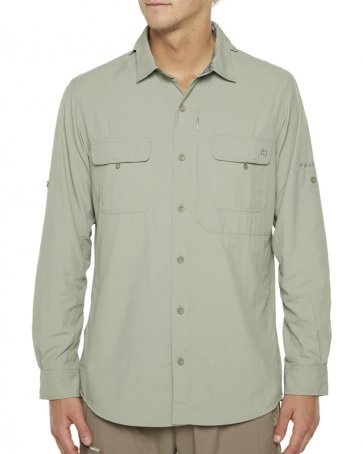 Whether your out on the water or trekking the trail, the DILKON LONG SLEEVE SHIRT is a Summer essential.